Sprint has recently posted its data, text and call plans for the iPhone on its website offering customers to pre-order the 8GB iPhone 4 starting today for $99.99 in black or white with a 2-year contract and an October 14 shipping date, while opening up the pre-ordering for the iPhone 4S on October 7 together with Apple with shipping scheduled to start on October 14. Customers will also be able to get their hands on the iPhone 4S in Sprint brick and mortar stores on October 14. 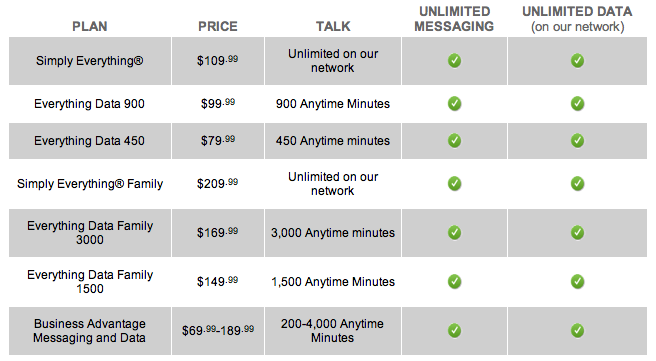 Sprint's iPhone 4 and iPhone 4S plans start at $69.99 and include unlimited data, which both AT&T and Verizon no longer offer. Looks like Sprint is the way to go for new iPhone buyers this time around at much lower monthly costs including unlimited data for that data hungry iPhone. 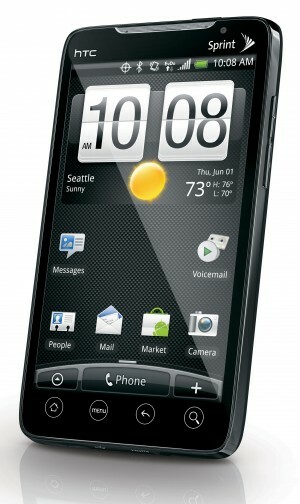 HTC EVO to Get Froyo on Tuesday! Yes it is official! 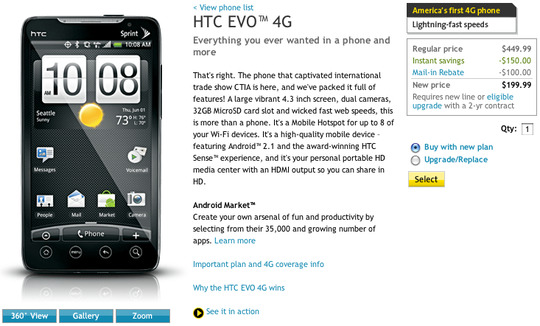 Sprint has just announced that the HTC EVO 4G is going to get the latest version of Android, 2.2 Froyo on August 3rd. 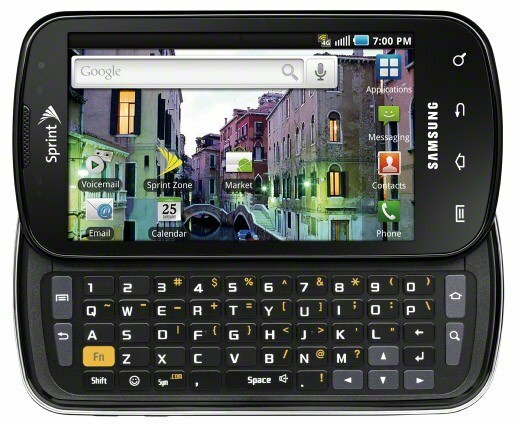 Sprint is the first carrier to offer the Froyo update and the EVO is the second phone to receive Froyo 2.2. Sprint says the OTA update will roll out in stages and will be done by "mid August, but they will be providing a manual download link for impatient people. 1. Users will receive a notification that Android 2.2 is available for download. With this update, we should start seeing Froyo roll out across all of HTC android phones in the next couple of weeks.